For more information, please contact Stefanie Rubin at 212.792.2938. 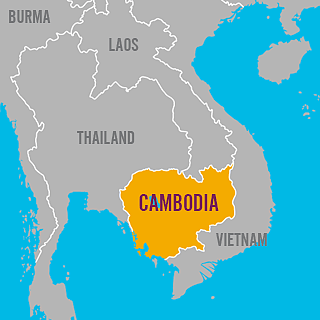 Join American Jewish World Service on an unforgettable trip to Cambodia, a fascinating emerging democracy with a painful and inspiring history. In this place of majestic geographic beauty we will meet with AJWS’s grassroots grantees working to forge a new, hopeful future. From urban Phnom Penh to traditional villages in the countryside, we will encounter activists who are empowering youth, garment workers and farmers to demand a voice in their country’s development. Through dialogue with local leaders, journalists and intellectuals and excursions to the country’s most spectacular sites, we will gain insight into Cambodia’s challenges, achievements and dreams. Meet with AJWS grantees like 3 Rivers Project, which is fighting to protect the country’s natural resources. Visit the Tuol Sleng Genocide Museum in Phnom Penh and uncover the tragic legacy of the Khmer Rouge regime. Discover the famed ruined city of Angkor Wat, one of the ancient wonders of the world. Priority registration ends December 2, 2015. *Dates do not include international travel and may alter slightly.